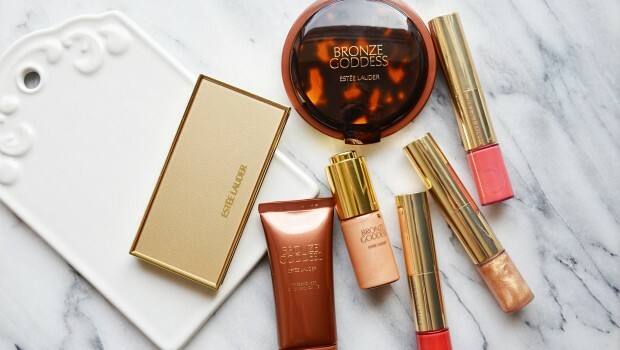 Every year Estée Lauder comes out with new products for her signature Bronze Goddess Summer Collection. The products are all meant to give you that bronzed and glowy “just came from the beach” look which we all love for the summer months. 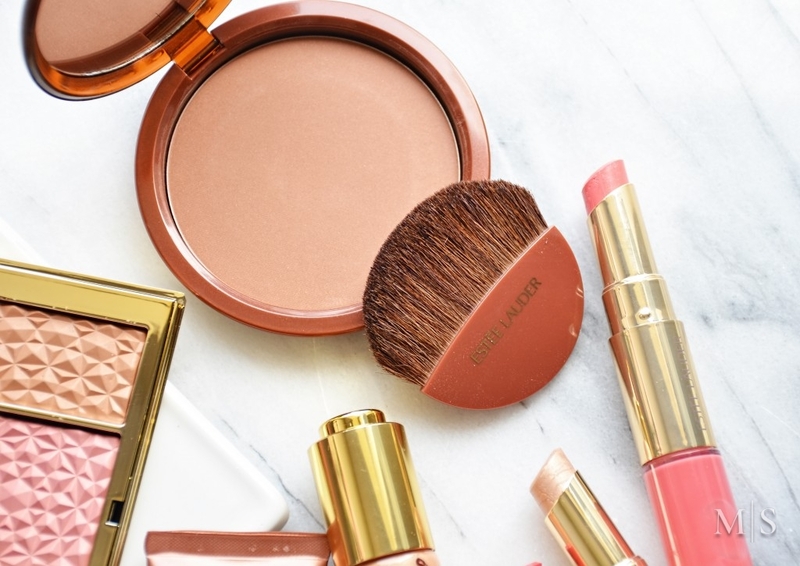 I get most excited about summer collections just because of that, every single makeup collection features beautiful bronzers, highlighters and bright coral lips that go so well with a tan. The Bronze Goddess 2016 Collection features her signature Bronze Goddess bronzer that comes out every year with the collection plus a beautiful highlighter, blush and bronzer palette, lips & cheeks products with bright colors and many more. The Bronze Goddess Gelee Bronzer is a liquid bronzer that has a gelee like consistency and gives a natural looking radiance to the skin. The formula of the bronzer is in between a liquid and a cream so it’s not as runny as liquid but not as thick as a cream. The way I apply this product is, I squeeze a tiny bit on the top of my hand and then use a buffing brush for application and blending. The shade is on the warmer side as expected with a summer collection so it gives you a nice warmth and luminosity to your face. It blends really nicely on to the skin and looks very natural. I’m a big fan of liquid and cream illuminators for the summer because they give a more natural glowy look to the skin than your usual powder highlighter. The Bronze Goddess Summer Glow Illuminator is perfect if you’re looking for a champagne gold liquid illuminator to mix with your foundation or just to use as a liquid highlighter on the tops of the cheeks. You can use it both for the face and the body to give yourself an all over glow and luminosity. The formula is thinner so it’s great for mixing but also makes it for easy blending. 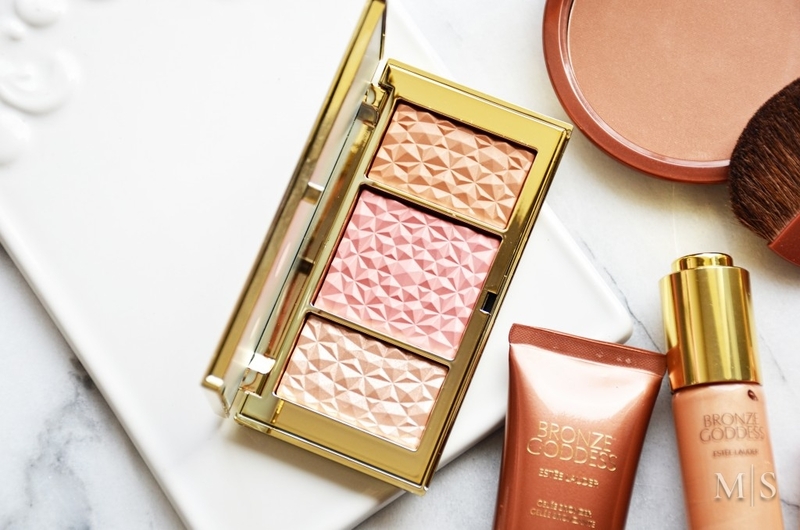 With the beautiful packaging and pattern the Bronze Goddess Summer Glow Multi-Palette will instantly catch your eye. It’s a very pretty palette that has a highlighter, blush and bronzer for creating a beautiful bronze summer glow. The shades in the palette are on the lighter side so this will probably suit people with fair to light skin. I’m in between light and medium skin and the blush shade appears very subtle on my skin, it gives me a nice glow with a natural looking flush. The bronzer is also on the warmer side but pretty light so it also looks very natural and subtle on my skin. Now the highlighter shade shows up very well on the cheeks and gives me the most beautiful light champagne glow. Since the way the pattern is done you can swirl your brush in the pan and not worry that you’ll pick up a lot of product so the palette makes for a great beginners palette. I’ve previously used the Bronze Goddess Powder Bronzer in Medium 02 so I knew that I’m going to love the shade. This bronzer has warm undertones and is one of those bronzers that have reddish brown tones that help mimic natural tan that you get on the beach. You can notice golden flecks when you look at the pan but on the face they just give a nice subtle glow in addition to the bronze. The Medium 02 shade is perfect for light to medium and medium skin tones and people with warm and olive undertones. If you’re a fan of warm bronzers this is a good one to get plus the pan is huge so this will last you forever. 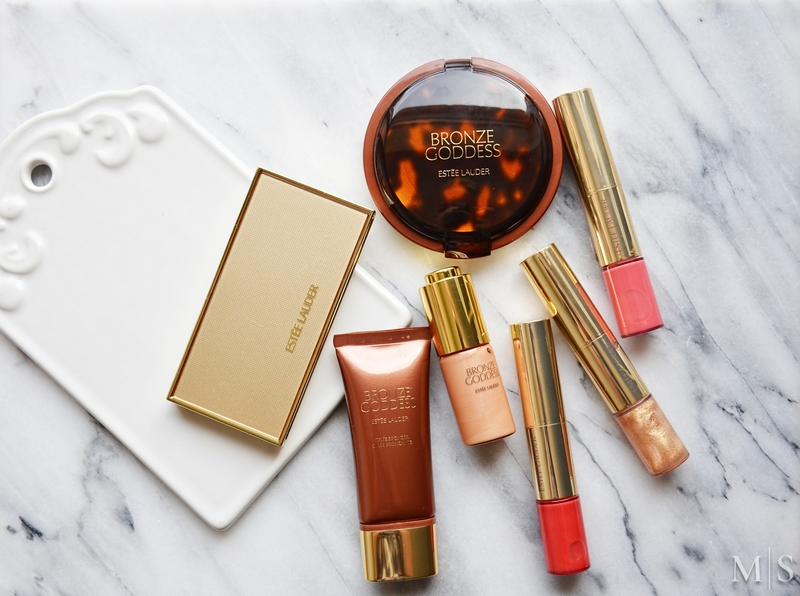 The Bronze Goddess Lip And Cheek Summer Glow is a 2 in 1 color for lips and cheeks. You get a cream products for the cheeks on one side and a high shine lipgloss on the other. There are three available shades in the line in Peach Glow, Fuchsia Glow and Sunburst. All three shades scream summer to me. 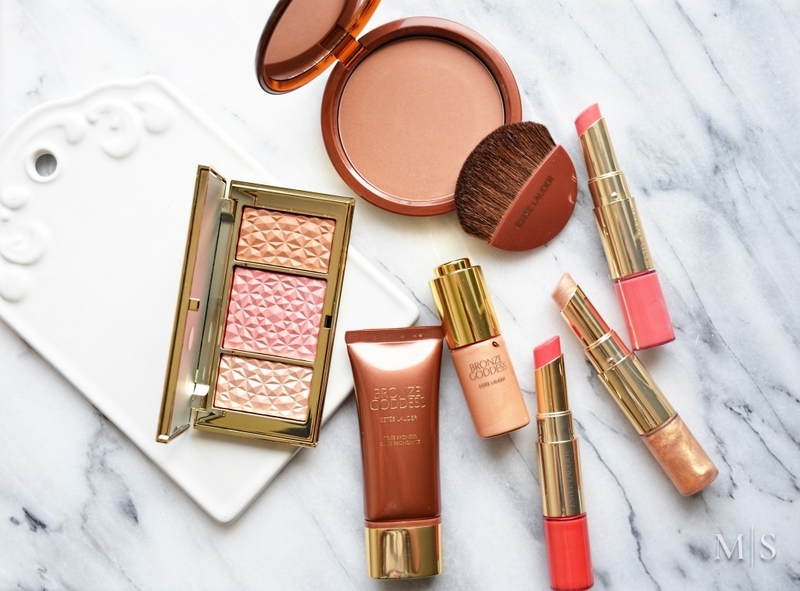 The two shades of peach and bright coral are my perfect summer shades and the shades I would pick if I was thinking of summer and the third shade in Sunburst makes for a great cream highlighter and adds a touch of golden glow to the cheeks. 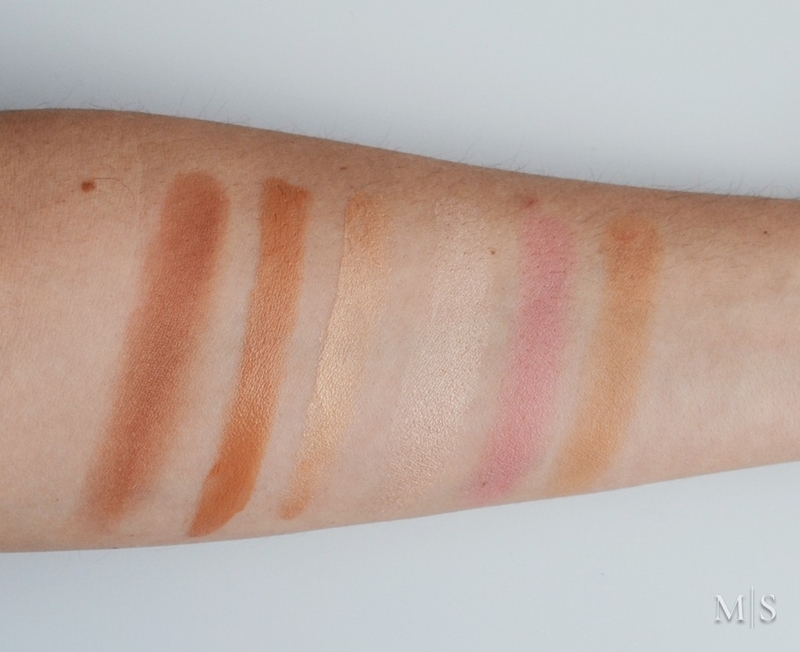 The cream cheek part is very pigmented so you only need a tiny bit of product to get a nice flush to the cheeks. The first two shades are matte with Sunburst being the shimmery shade. 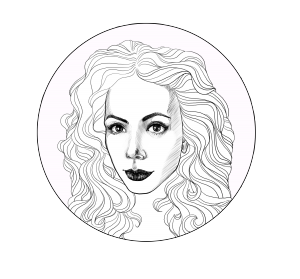 The finish of the cream cheek products is natural but also buildable and they don’t feel sticky or tacky on the cheeks. The gloss side that’s meant for the lips is a nice hydrating non sticky formula that is pretty sheer. 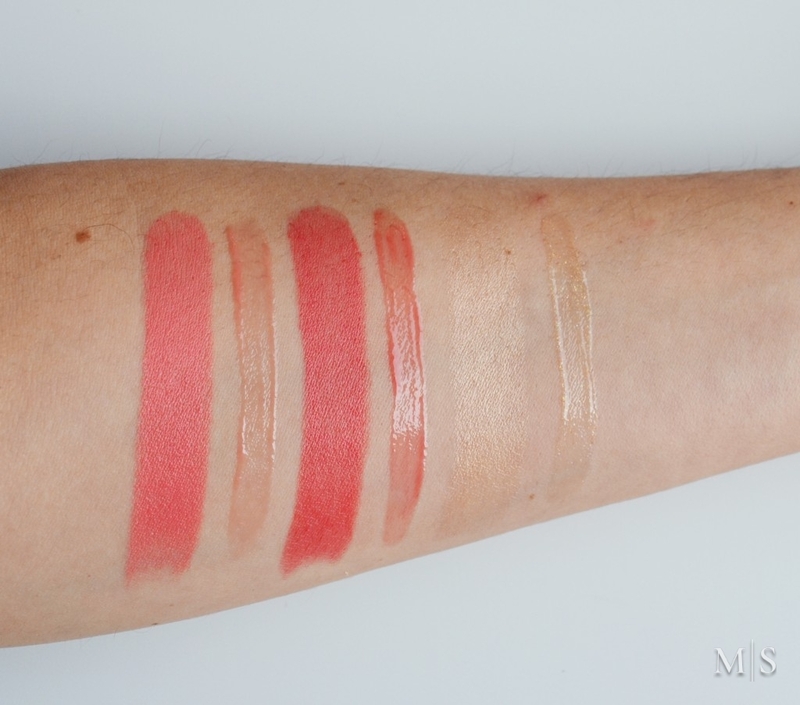 They’re great to wear on natural no makeup days but what I do when I want to add more pigment is just tap a little of the cheek product before I apply the gloss and it just adds a touch of pigment to the lips. 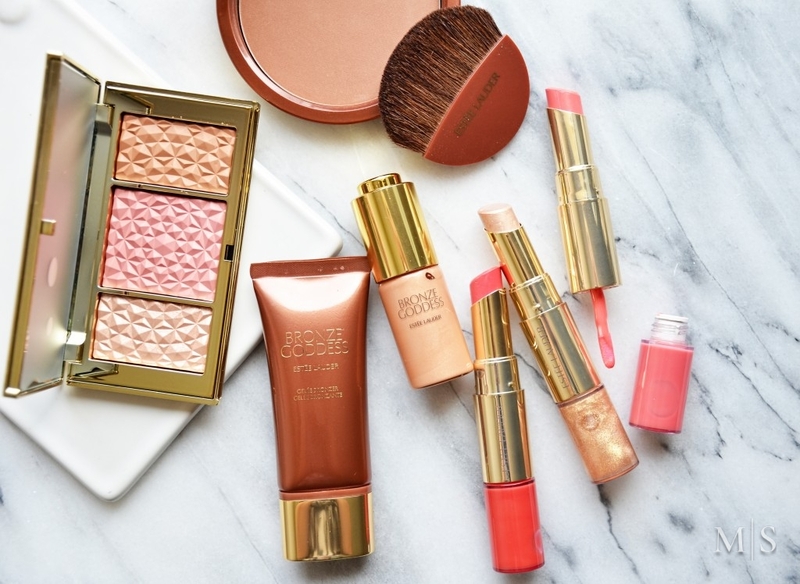 The Estée Lauder Bronze Goddess 2016 Collection gets a big thumbs up from me, it’s a wonderful summer collection with some great products. If I have to pick my favorite products include the Powder Bronzer, Lip and Cheek Summer glow in Peach Glow and the Summer Glow Illuminator. If you’re looking to add some new products that will get you summer ready this is a great collection to check out. The packaging of each and every product is beautiful and they will definitely help in giving you the ultimate summer glow.